Middleton Engineering provide robust baling solution engineered to provide more than 20 years hard working life. 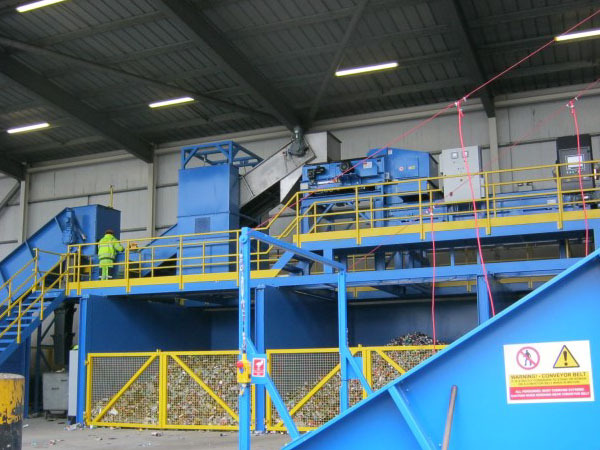 To meet increased recycling volumes at its Newton Abbot waste transfer and bulking station, Teignbridge District Council has awarded a contract to recycling machinery specialists Middleton Engineering. This includes the supply and installation of a new Scapa HB60 HM2 channel baler and associated equipment. Due for installation at the beginning of April and currently in fabrication at Middleton’s factory in Somerset, the new baler will be used initially to process and bale growing waste cardboard (OCC) volumes from domestic waste collections, producing compact mill-size bales ready for onward shipment to re-processors. With ambitious council targets for recycling, Teignbridge was the highest performing Devon Council in 2016/17 and second in the South West. OCC volumes currently stand at around 3,000 tonnes per annum and are expected to continue rising over the next two decades as recycling rates improve and new housing is introduced. Under the contract, which followed a formal tender, Middleton Engineering is also supplying an inclined chain conveyor to optimise material feed and loading for the baler, together with new bay walls to increase storage for loose cardboard at the Council’s Forde Road Depot. With a press force of 60 tonnes and an output of 5 to 7 tonnes per hour, the fully automated HB60 HM2 provides a robust baling solution engineered to provide more than 20 years hard working life. The work horse of many council and commercial material recycling facilities, a small footprint and low headroom make the HB60 range particularly attractive where there are site constraints or limited space. 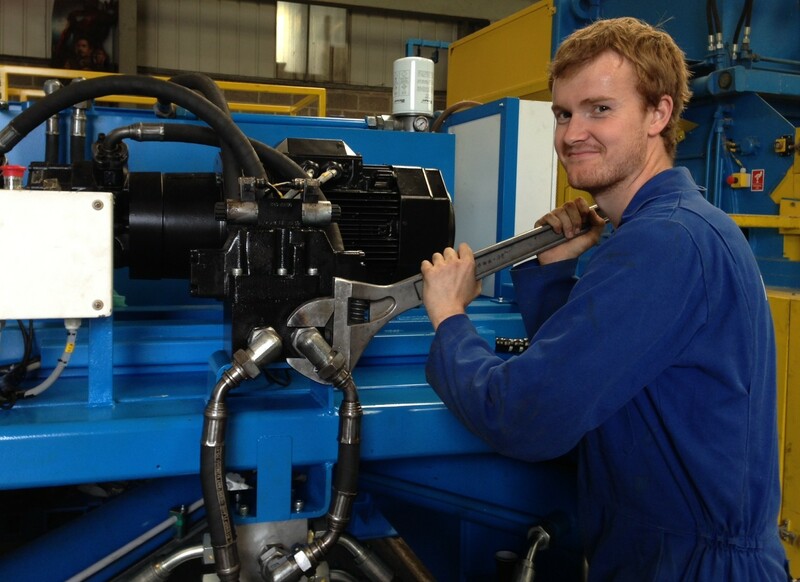 Middleton Engineering was selected following industry recommendations, but also as a local Somerset business with a good reputation for quality and service. British family cider maker, Thatchers Cider, has contracted Middleton Engineering to supply and install an 80 tonne baler and slider-bed feed conveyor at its Myrtle Farm cider mill in Somerset, to compact and bale waste packaging materials at source, prior to shipment to re-processors. Sustainability and the environment are core concerns for the 100 year old cider maker which today employs over 200 staff producing a range of premium ciders including Thatchers Gold, available across the UK and to a growing customer base overseas. Middleton Engineering was selected following industry recommendations, but also as a local Somerset business with a good reputation for quality and service. Installed and up and running just 12 weeks from initial order, the new machine provides a robust, small footprint, solution capable of delivering consistent mill size bales and achieving maximum bale weights for optimal onwards transportation. Part of the installation has included a bespoke conveyor to feed the baler and designed specifically for the size of cardboard the company deals with. Currently Thatchers Cider is baling around five tonnes of cardboard packaging waste and one tonne of plastic waste each week, which in turn is creating a new revenue stream for the business. Middleton Engineering, has been supplying balers and recycling equipment to Biffa for over 15 years, including sites in Bradford, Cardiff, Grimsby, Hull, Dewsbury and the Isle of Wight, together with conveyor solutions for Biffa Polymers since 2015. In 2016 Middleton Engineering installed a sec-ond bespoke conveyor to enhance processing require-ments at Biffa Polymers, the world’s first food grade High Density Polyethylene (rHDPE) recycling plant, based at Redcar in Cleveland. The conveyor forms part of a new recycling line for mixed post-consumer rigid polypropylene (PP). This produces high quality mixed plastic flakes and forms part of the continued expansion at Biffa Polymers, doubling output for its HDPE recycling capacity to some 20,000 tonnes. With an overall length of 9.3 meters, the conveyor was designed to meet precise process requirements, transferring material from a shredder, up to the in-feed conveyor for a granulator. It includes a 600mm wide cross-stabilized 3-ply rubber belt, with a rising section angled at 25 degrees to carry material at a rate of 1.5 tonnes per hour. Sprung castor wheels maintain belt tracking while 50mm high cleats together with valances to either side prevents material from slipping back, ensuring a consistent feed. 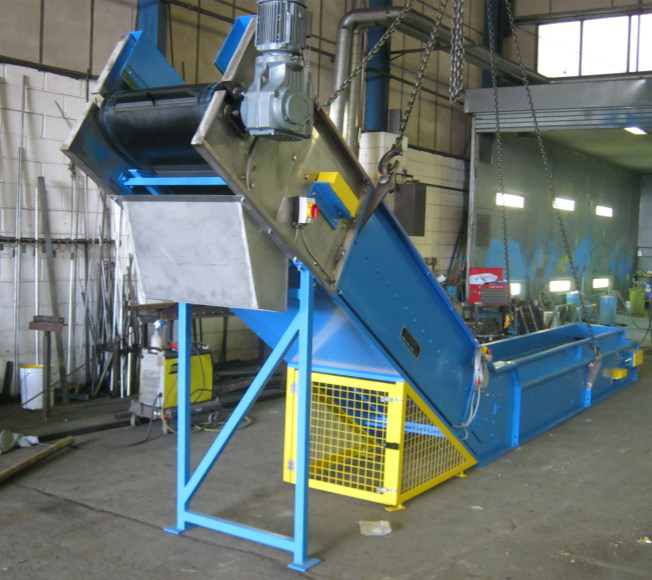 A magnetic head drum for separating ferrous contami-nation at the head of the belt or discharge end of the con-veyor further improves waste stream purity and quality. This provides secondary metal protection with continuous separation, trapping metal debris as the drum rotates, while clean product is discharged. Lock off emergency stop switches, safety pull gantries on the rising section and SCADA controls to fully integrate the conveyor with the other machine processes complete the installation. 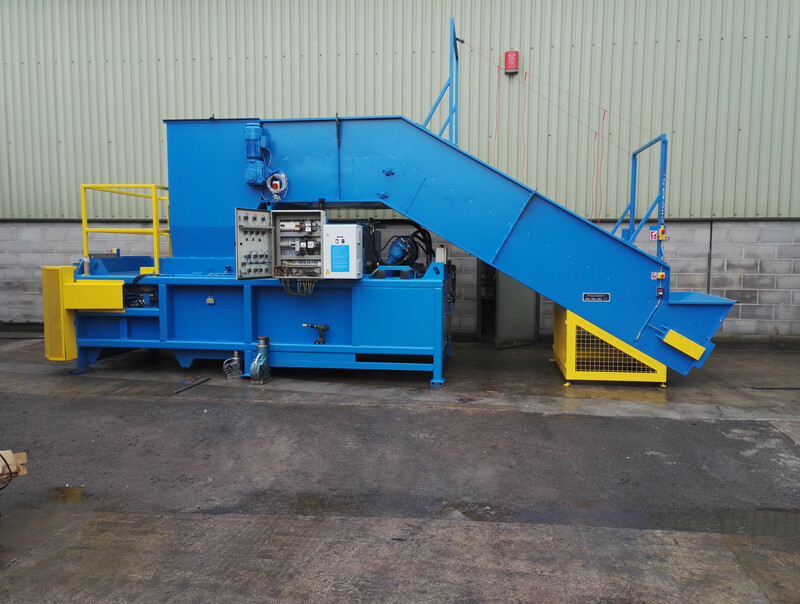 Middleton Engineering has designed, supplied and manufactured a compact solution incorporating a Middleton ME80 closed-end semi-automatic baler, fitted with a bespoke slider-bed feed conveyor. 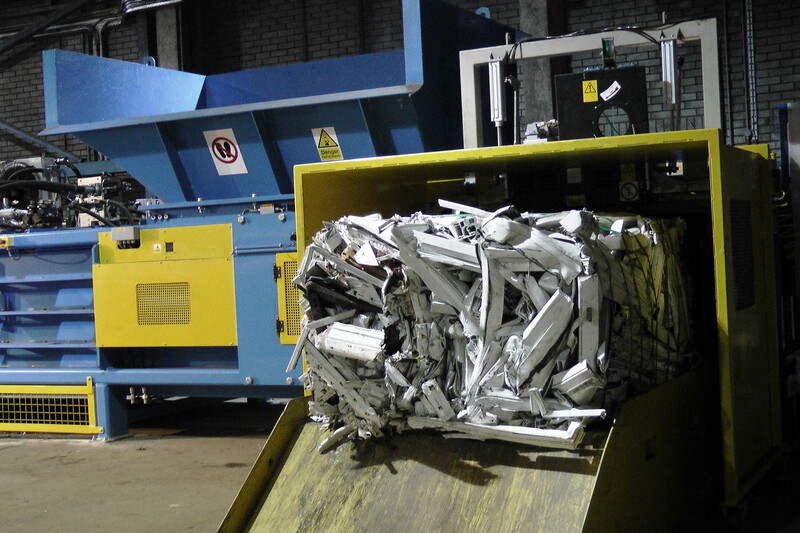 Devon-based plastics re-processor and recycling company Polymer Industries, which established a mainstream recycling arm, Recycling South West, earlier this year to provide additional services to customers across the region, has selected a baling and conveyor solution from Middleton Engineering. Full flexibility to bale a range of materials such as paper, cardboard and polythene through to rigid plastics including drums, crates and bumpers, while at the same time achieving maximum bale weights for optimal container transportation, were key requirements for the solution, which is installed at the company’s expanding site at Wrangaton in South Devon. Under the contract Middleton Engineering has designed, supplied and manufactured a compact solution incorporating a Middleton ME80 closed-end semi-automatic baler, fitted with a bespoke slider-bed feed conveyor. This includes an in-floor section to ease loading, with the addition of gravity driven roller tracking to convey completed bales out through an opening into a storage yard. “Selecting Middletons followed a visit to their manufacturing operation in Somerset and positive industry feedback. We were impressed by their quality workmanship and the enthusiasm of the team. The baler gives us the flexibility we need with the option to bale rigid plastics at optimal weights as our new service develops,” he added. With the new baler operational, Recycling South West is already handling a significant tonnage of materials from across the South West region and beyond. As volumes increase more staff will be added with the intention of running the baling operation on an extended double shift for 15 hours a day. The company is already offering a weekly or fortnightly collection service for cardboard, polythene and some hard plastics, accommodating both small and large customers and will also accept materials delivered direct to site. In addition, the business will also accept pre-baled cardboard, re-baling it to achieve mill size dimensions and optimum loading weights more suited to sea containers. The project and installation process followed a short lead time to build and ship the equipment and structural works for the in-floor section of the conveyor and site preparation took a little over a week. Following this Middletons coordinated the delivery, craning and installation of the whole baler unit and it was up and running within 72 hours. A simple guide to prevent issues, improve performance and minimise downtime. The No.1 culprit for most common faults is dust and debris. This builds up during the production process and regular cleaning is essential. We can’t stress enough how important this is. Follow a vigorous cleaning routine and you’ll experience far fewer issues. Faults with automatic tying systems are nearly always due to dust and dirt. A good system of cleaning around the wiring guiding routes and on the head itself will eliminate most issues associated with tying off bales. Light sensors to detect when the hopper is full, will not operate correctly if full with dust. Consequently, the baler will think the hopper is filled when it isn’t. Remember to clean the main press and the feed conveyor at the required intervals. This will prevent jams and interventions. Specific parts to watch for include wire pulleys, wear pads and needle tip rollers. It’s important to stick to the prescribed service intervals. If in doubt, check. Periodic functional checks are also needed to ensure continued smooth running. For a competent operator, these are easily carried out and should be clearly documented with prescribed time intervals in your manual. Typically these fall at 8 hour, 40 hour and 300 hour operating intervals. Most should be carried out with the machine off and isolated from the mains electrical supply. Note – it is crucial to respect the hazard information provided with your machine and to follow safe working practices when carrying out any checks or interventions. At longer intervals, the wear pads on the main press should be checked. These stop the press from wearing into the main body of the baler, which can be expensive to put right. These can be shimmed or easily replaced. Other things to check include the condition of the needle slot rubbers and clamping plates, the condition of the shear blade if fitted and the scraper. Electrical faults are rare but daily checks must be performed to ensure operator safety. The condition of exposed cable and limit switches – it may be necessary to encase cables to prevent rodent attacks. Note: Lethal voltages are involved and remedial work should be carried out by a qualified electrician. Safety limit switches on all access doors should be checked to ensure safety interlocks activate when doors are opened. All emergency stop systems should be operating correctly before the machine is used. So, there’s plenty you can do to limit breakdowns and maintenance issues. It’s all about taking control and good site practice. And it’s not as time consuming as you may think. At Middletons we are here to help. We now offer remote diagnostics to help you resolve issues quickly and we service all makes of machine. For free advice on reducing breakdowns or further information on our services, why not give us a call? Part of the market’s initiative to become the UK’s biggest, entirely plastic-free shopping destination. 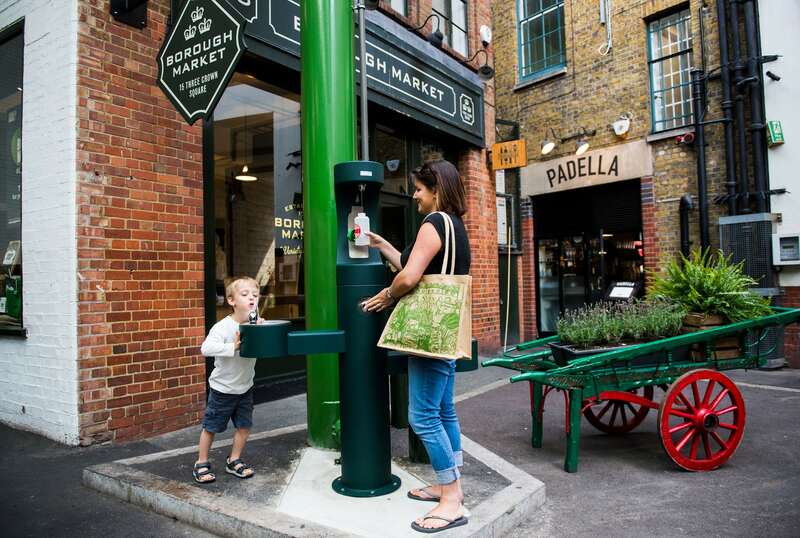 Borough Market in London has installed free drinking water fountains for the public, in a bid to phase out the sale of all plastic drinking bottles. The capital’s biggest, independent market has plans to ban the sale of all disposable bottles in six months time, with hopes that the free fountains will be a welcome alternative for shoppers. There are a total of three fountains around the market, each one has two streams for drinking from and one to refill reusable bottles. The market also plans to offer refillable bottles, made from recycled plastics, that will be available to purchase around the site. The move comes as part of the market’s initiative to become the UK’s biggest, entirely plastic-free shopping destination. They have also pledged to make all other packaging used by it’s 114 traders, bio-degradable and compostable, helping the market to achieve a goal of zero waste to landfill. A recent study has found that over 38.5 million plastic bottles are bought in the UK everyday, with just over half of these being recycled. Plastic bottles can take up to 450 years to break down once they reach the sea. Darren Haneghan, mananging director of Borough Market, has said that he hope the move will inspire other retailers. Our solution is a Twin Ram machine with high compression giving uniformly square dense bales without any ragged edges. A bale separation door also minimises cross contamination. With bales measuring 720 x 1050 x 1400 mm this allows six bales across the back of a container, eight rows deep, leaving approximately 800mm to shut the door! Introduced to divert a further 2,000 tonnes of waste from landfill each year. 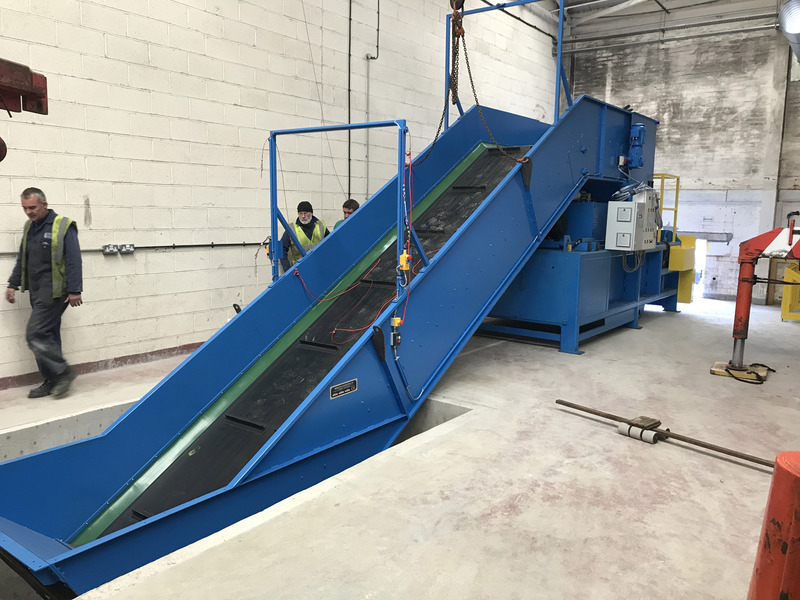 Amey, the waste and recycling contractor for Gloucester City Council, is operating a new waste sorting and baling solution at its depot in Gloucester, designed and installed by recycling machinery specialist Middleton Engineering. This follows a new kerbside collection regime to boost recycling across the city to 50% and reduce costs in line with budget pressures. It forms part of an overall strategy with Gloucester City Council to deliver significant cost savings and to divert a further 2,000 tonnes of waste from landfill each year. Amey’s waste and recycling contract with Gloucester City Council runs until 2022 with an option to extend to 2027. Selected following a competitive tender, Middleton Engineering was responsible for all aspects of the bespoke solution including, design, fabrication, installation and commissioning. This comprises a series of chain and slider bed conveyors, five in total, to transport material through a number of overhead automated sorting processes. These include Overband and Head Drum magnets to re-move ferrous metals, an Eddy Current Separator and finally a state-of-the-art Steinert UniSort PR optical sorter, for separating a range of plastics. Sorted material drops into infeed bays constructed in steel, each measuring 5.5m wide by 7.5m deep and 3m high. Access gantries and walkways, SCADA controls to fully integrate each element of the system and lock off emergency stop switches and safety pulls, complete the solution. Sorted materials are then loaded into a new SCAPA ME2R80 twin ram baler, incorporating a wire tying head. 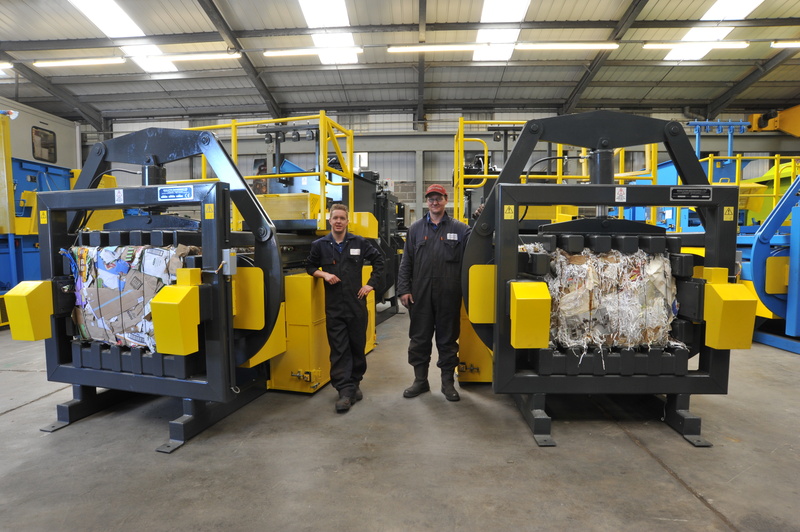 Middleton Engineering has been supplying Amey with balers since 2005 and the latest plant, designed to process material at three tonnes an hour and sized to optimise available space at the Gloucester depot, upgrades earlier ME70 and ME80 machines. 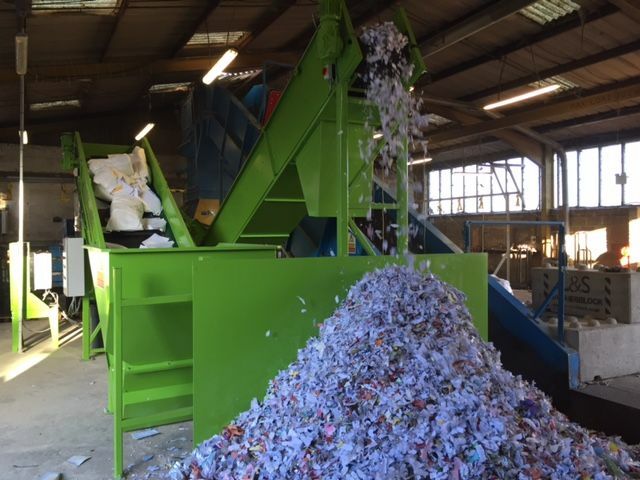 Confidential document destruction and shredding capacity at Hampshire-based Ecogen Recycling has jumped seven fold following a £90,000 investment in new technology. Core to this is the installation of a custom-made conveyor solution developed by waste recycling machinery specialist Middleton Engineering, feeding a state of the art AXO-704 shredder with prototype ‘hard head’ technology. The Middleton solution, which is designed to optimise material feed to and from the shredder, incorporates a bespoke feed hopper and stand for the shredder, with two opposing slider-bed conveyors, inclined at 32 and 27 degrees, together with end hoppers and all electrical controls and interfaces. The set up delivers a highly efficient solution capable of handling seven tonnes per hour and at the same time designed to minimise precious floor space. Locating the new facility adjacent to an existing baler and feed conveyor, supplied by Middletons in 2015, also ensures minimal material handling is required to load shredded waste into the baler. With the new facility in full operation Ecogen Recycling is currently processing around 100 tonnes a week of secure document shredding. This in turn is then baled and shipped to paper mills around the world for re-processing. Importantly the new capacity means that confidential waste can be sorted and shredded as soon as it reaches the company’s Hampshire depot – adding further confidence to clients who depend on the service.